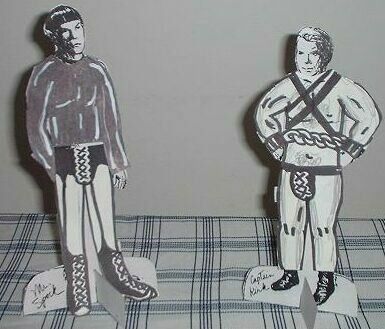 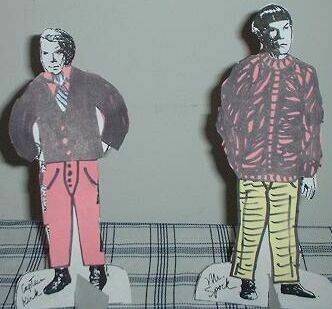 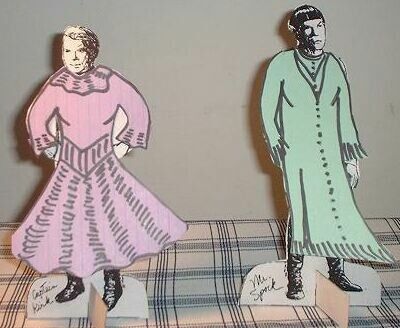 Someone posted a link to Kirk and Spock paper dolls on one of my groups. 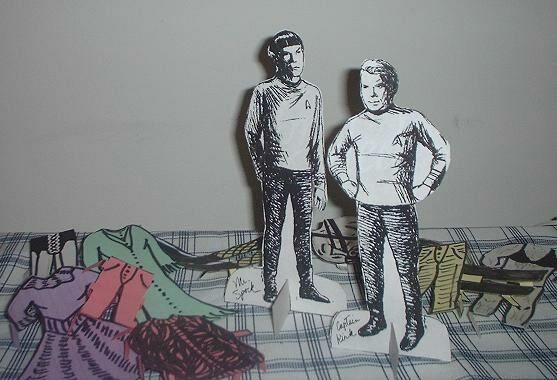 I printed them off onto adhesive paper, stuck them to cardboard from a cereal box, and made clothes for them. 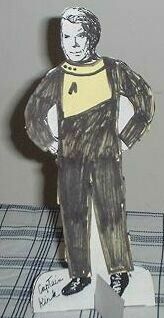 Here is the demented result!